An illustrated tour of the planet exploring ecosystems large and small, from reefs, deserts, and rainforests to a single drop of water—from the New York Times bestselling author of Women in Science. "More than informative, this ecological adventure calls for action." "Swim through the art on each page of this book, while soaking up the science. 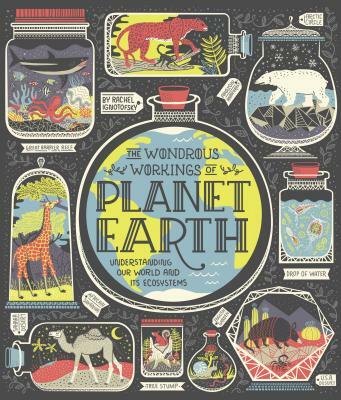 Rachel Ignotofsky brilliantly uses her skills to create the ultimate illustrated story of life on Earth, delivering another blow to the misconception that art and science occupy separate realms. This book is a delight." "This is an ambitious and informative book that is also great fun. It is visually stunning, a real pleasure to read, and well worth exploring." "This book is a delight. It is filled to the brim with wonderful facts and diagrams, covering the flora and fauna of ecosystems from around the world, the cycles of nature, and our role in protecting our planet. The stunning illustrations make each page a true work of art. A joy to read."